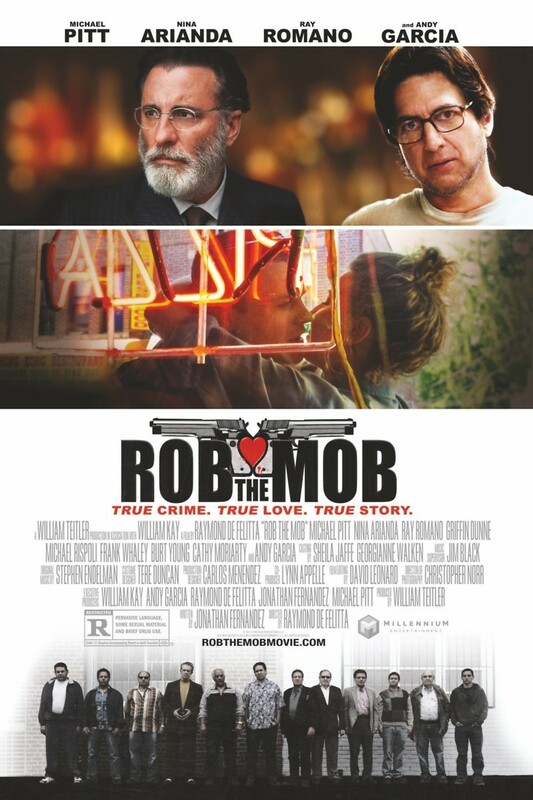 Rob the Mob DVD and Blu-ray release date was set for June 24, 2014. Inspired by the real-life antics of criminals Tommy and Rosie Uva, Raymond De Felitta’s latest installment tells the story of the couple’s crime spree targeting the mob. The charming duo is embracing clean living by obtaining straight jobs and abstaining from drugs when Tommy decides they need to take a break from their retirement as petty criminals. He’s decided to employ an Uzi as his weapon as he sprays bullets upon breaking into mob meetings to steal from their illegally gained wealth. The plan is working better than expected when the couple strikes gold in the form of unwittingly obtaining classified information at one of the heists.